Step on in from the cold winter weather and into this dazzling Snow Ball and experience a shared Christmas celebration like no other! Dress to impress and get into the spirit of the festive season. 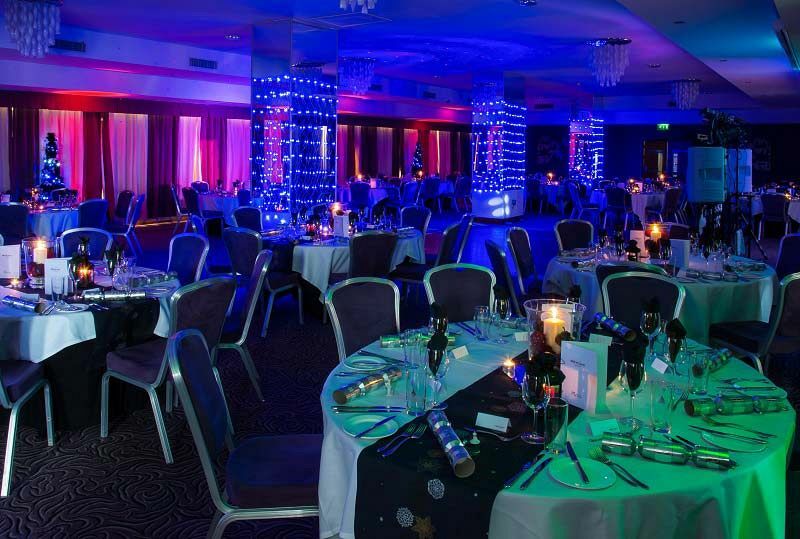 The décor will be glamorous with plenty of festive glitz which will be sure to take your breath away as you enter this stunning Snow Ball event. With a large selection of shared party nights on offer this year, there’s bound to be a date to suit everyone! Start the evening off with a festive arrival drink and choose from a delicious three-course meal from either the set or choice menu - prepare to indulge in some seriously good food. A half-bottle of wine will be available for each guest during the dining experience, whilst the table will be decorated with Christmas novelties to have everyone feeling suitably festive. The fun continues with a brilliant disco bought to you by the venue’s top resident DJ, who will be playing all the best floor fillers. If you want to start the celebrations early, then why not take advantage of the venue’s excellent Happy Hour, offering great deals across a range of drinks from 5.00pm – 6.30pm. Overnight stays for guests can also be arranged at an excellent rate, whilst the organiser of the party will be able to benefit from the organiser rewards that can include accommodation, spa vouchers or a hamper filled with handpicked selection of goodies. Situated in Bristol city centre, this spectacular venue is perfect for guests arriving and departing via public transport, as Bristol Temple Meads Train Station is just a seven-minute walk from the venue. Ensure you send an enquiry through today to book and secure availability for your preferred dates!